CA Technologies needed a branded, flexible & sustainable design language to move their enterprise software towards a Software-as-a-Service (SaaS) model. We worked with a team of UX and visual designers over a year and a half at Hot Studio, ATO and CA’s Security Business Unit to create an Extensible Design Language that was applied to 50+ products. The design language was applied to various mobile app templates. 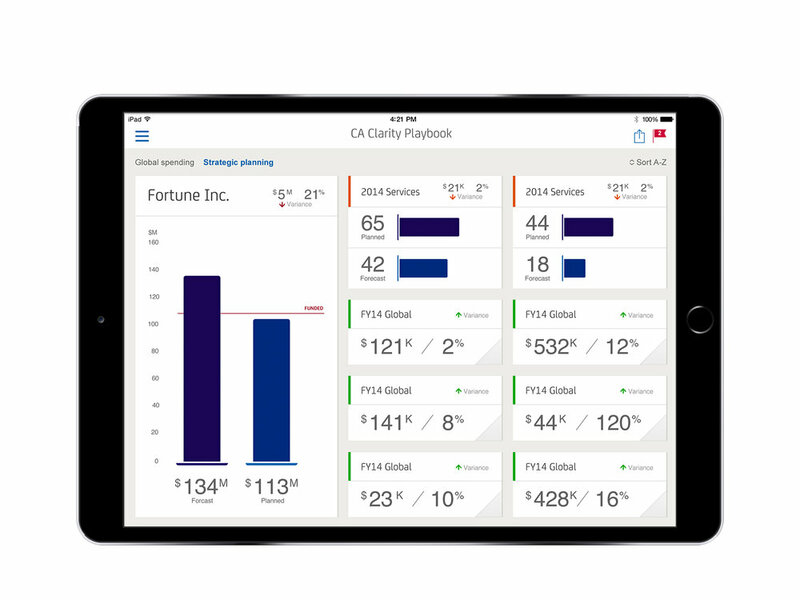 For one of the first apps created, we worked with CA’s engineering team to create a native iPad app for securely wrapping applications. The app allowed employees to access commonly used application, like Google Drive, while still conforming to security policies. This unique product was market-ready with extraordinary speed using the iOS mobile framework. Once the design system was created, our team began translating the design to various CA products. 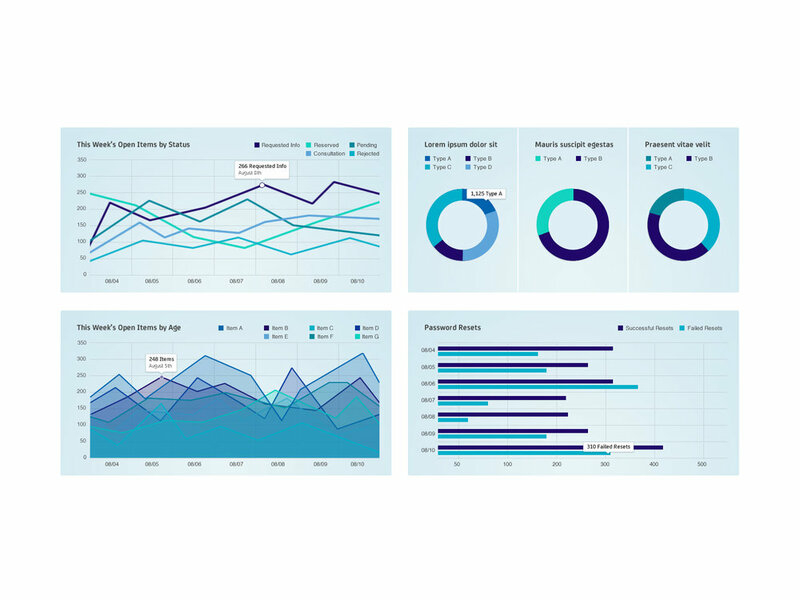 The new design language used infographics and data visualizations to display a snapshot of content or activity in dashboards and summary screens. We created various styles for charting that could be used throughout the design system.